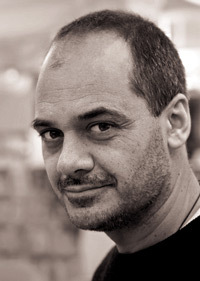 Glenn Colquhoun is a doctor as well as a writer. His time in the Te Tii community in the Bay of Islands provided the inspiration for his first book of poetry, The Art of Standing Upright (1999), which won the Jessie Mackay Award for best first book of poems at the 2000 Montana Book Awards. His third book, Playing God (2002), won the Poetry category of the Montana Book Awards in 2003, and then went on to win the coveted Readers’ Choice award, the first poetry title to do so. His latest book, How We Fell (2006) combines poetry with graphic novel illustrations by Nikki Slade Robinson. He lives on the Kapiti coast near Wellington. The Art of Walking Upright. Wellington: Steele Roberts, 1999. An Explanation of Poetry to My Father. Wellington: Steele Roberts, 2000. Playing God. Wellington: Steele Roberts, 2002. How We Fell (A Love Story). Illustrated by Nikki Slade Robinson. Wellington: Steele Roberts, 2006. Jumping Ship. Montana Estate Essay Series. Wellington: Four Winds Press, 2004. Uncle Glenn and Me. Illustrated by Kevin Wildman. Auckland: Reed, 1999. Uncle Glenn and Me Too. Illustrated by Kevin Wildman. Auckland: Reed, 2004. Mr Short, Mr Thin, Mr Bald and Mr Dog. Wellington: Steele Roberts, 2005.